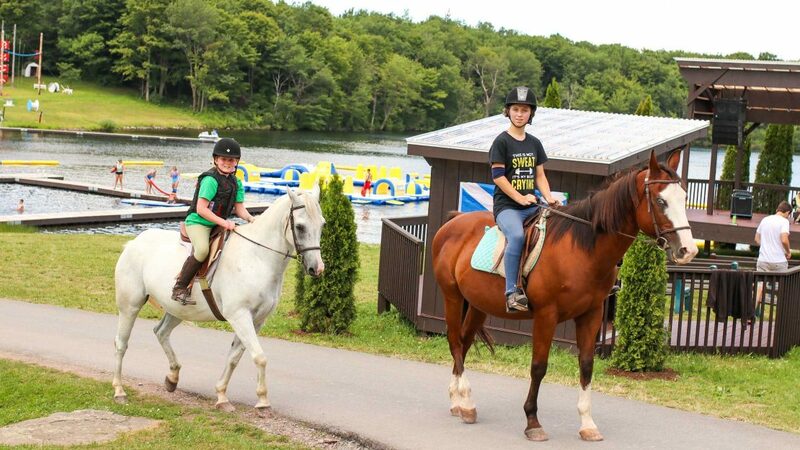 Whether you’ve grown up on the back of a horse or never even seen one before, all horse and pony lovers are welcome! 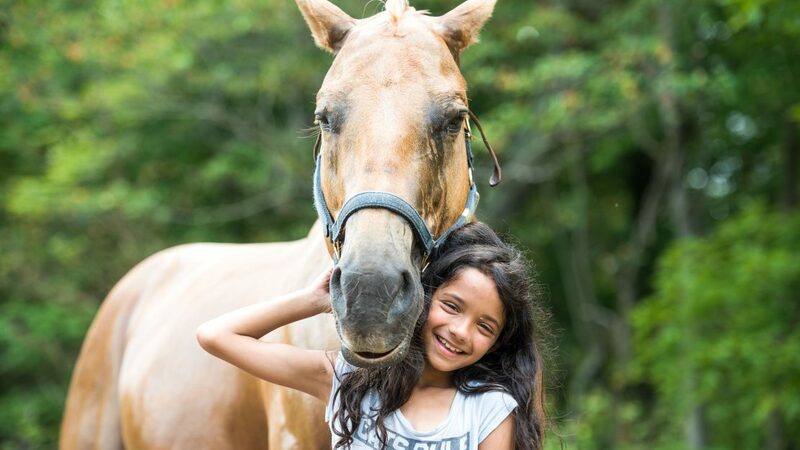 Our 10 horses, ranging from Shadow the tiny but cheeky pony, to Quint the gentle giant, we will find your perfect horsey friend! 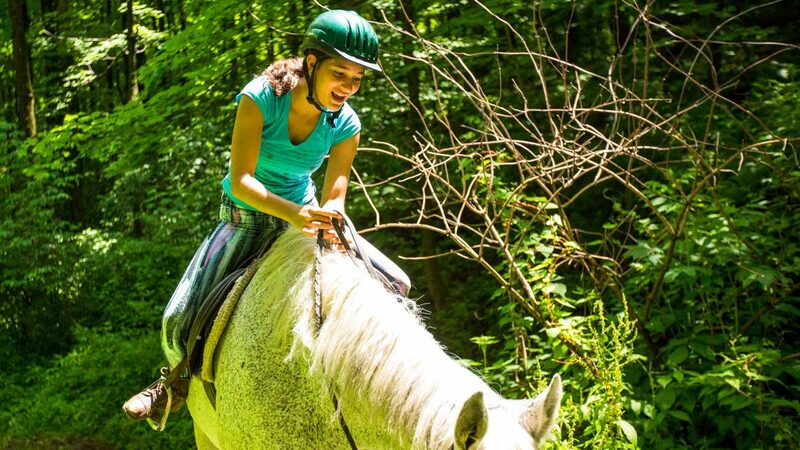 Enjoy lessons in both English or Western riding, show jumping and dressage, stable management, & lunging lessons. 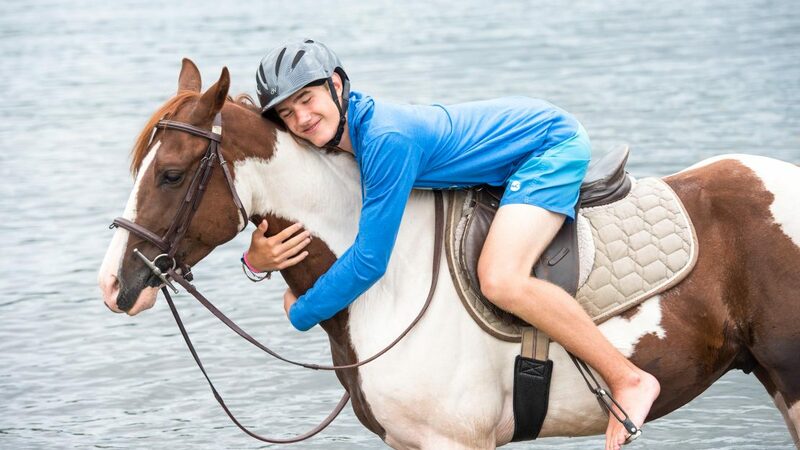 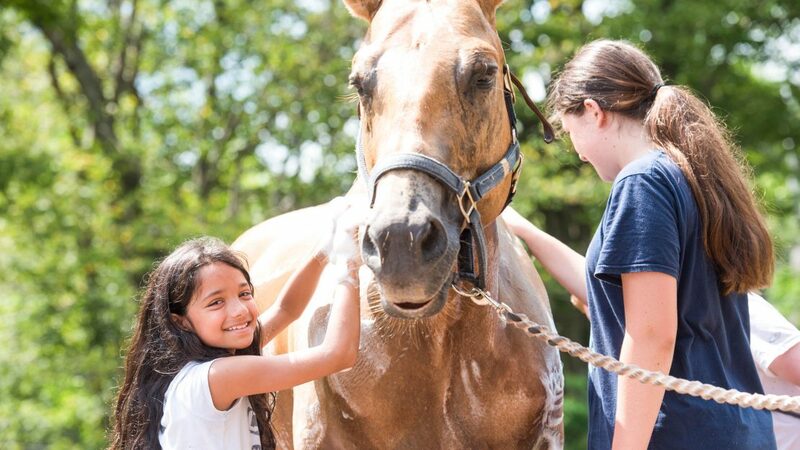 All campers are welcome to join in other horsemanship activities that allow them to interact with the horses from the ground: daily horse care, grooming & braiding, and how to tack up a horse. 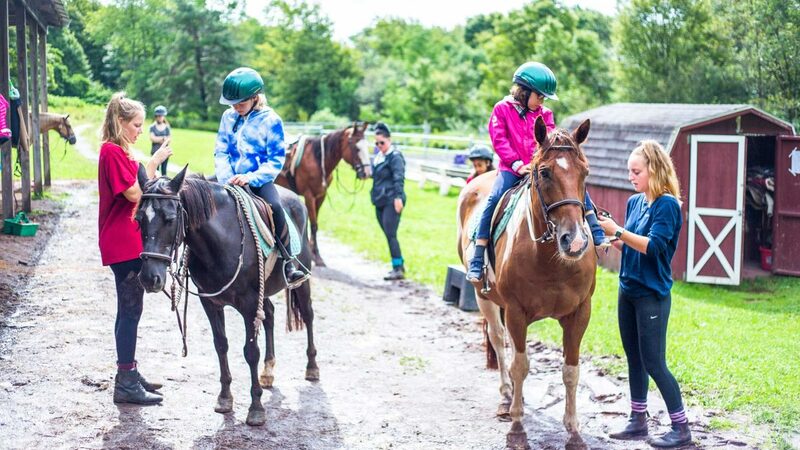 Riders can choose to work on skills lessons in our arena or go on a trail ride where they can view our beautiful camp from the back of a horse. 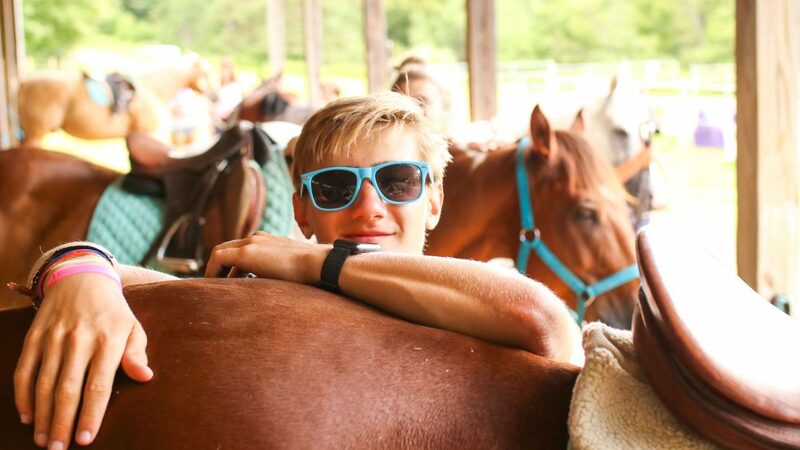 Limited space – reserve a spot! 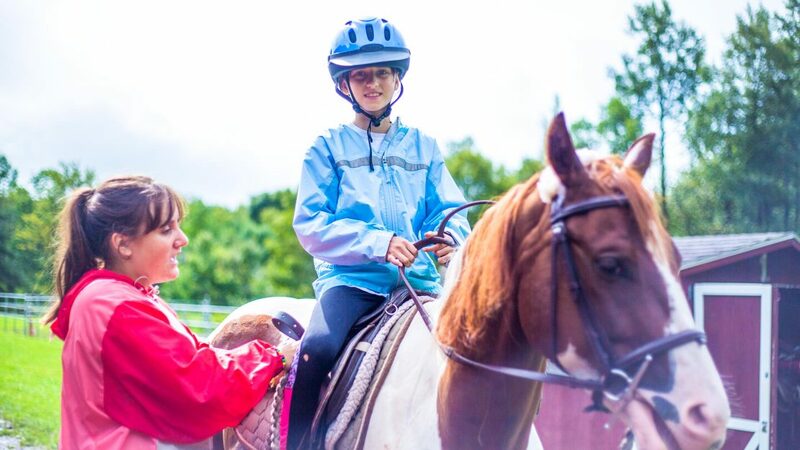 Horseback riding lessons are the one activity we ask for advanced sign ups at an additional fee, as there are only a certain amount of spots available. 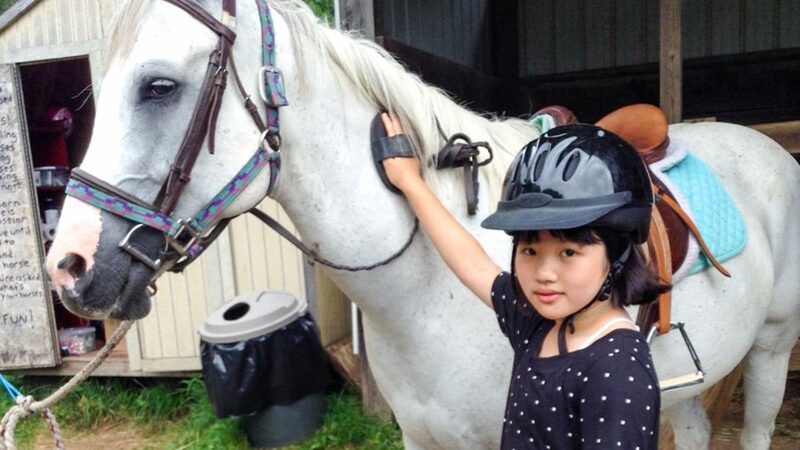 In the event a camper decides not to do the lesson at any point, all monies paid for the riding lessons will be refunded.